As we approach the publication date of A Review of 50 Public University Honors Programs, we plan to share some results of our research over the past six months. 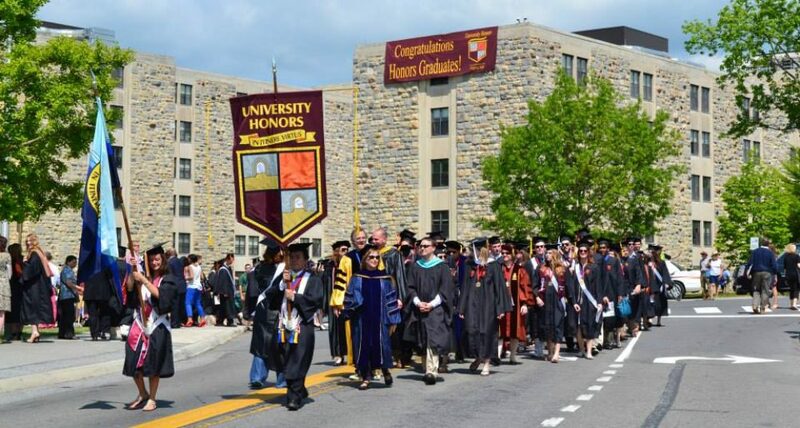 Today’s post lists the universities whose honors values–curriculum, prestigious scholarships, grad/retention rates, and honors benefits–elevate them dramatically in relation to their rankings by U.S. News. In the guidebook, we refer to the positive difference between the perception of a university, on the one hand, with honors excellence factors, on the other hand, as HONORS IMPACT. For example, a university may have a U.S. News ranking of 100, but score in the top 10 in our review when honors values are the primary focus. One way to look at this positive difference is to regard it as a value added, over and above the perception or quality of the university as a whole. Of course it is far more difficult for a university with a high U.S. News ranking to achieve a dramatic value-added result, but some of the best honors programs are not in high-ranking universities, and we think it’s useful to show how much value they do add.